In Episode 59, you heard me talk all about the gorgeous Tactile Fiber Arts Wild Crafted yarn line. Well.. here it is! Pretty, right? 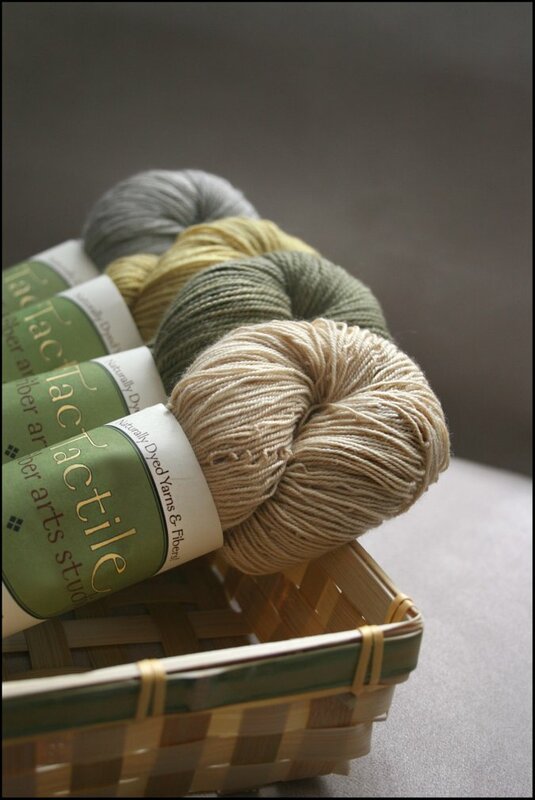 It's no wonder that I selected this yarn for use in my Rustling Leaves Beret pattern for Coastal Knits! These gorgeous colorways were created using natural botanical elements gathered here in California such as plum leaves, fresh eucalyptus leaves, and horsetail. 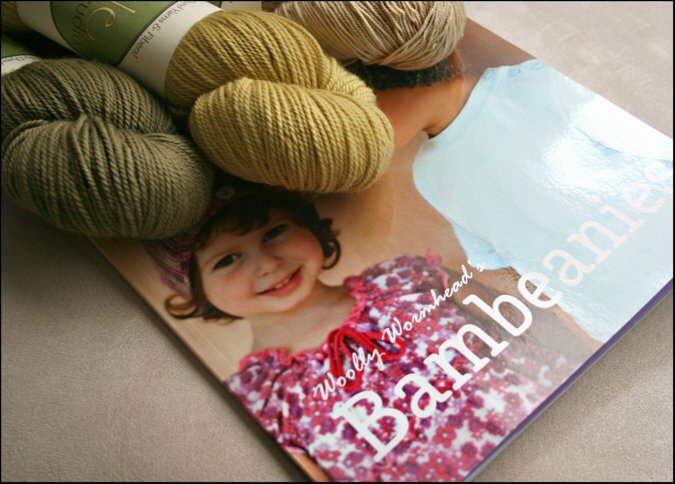 copy of, Bambeanies, by Woolly Wormhead. To enter to win this fabulous prize, please leave a comment (including contact information) under this post. Only one comment per person please. The winner will be announced here on October 15th, so please check back then to see if you have won! Drawing Now Closed! Congratulations to Nuttygal, the winner!